Here are the specific summer offerings as promised but if I have left something out, please do not hesitate to ask and we will certainly try to accommodate your requests. Many middle and high school students are asked to read summer novels. Beach Cities Tutoring can help lead interactive reading groups and help students highlight important information, analyze key concepts and help with annotation for future writing assignments. For elementary students, we offer reading workshops that will help your child improve their active reading comprehension and vocabulary strategies. This is crucial in ensuring they succeed in all academic subjects. Especially with the Common Core curriculum, reading and writing are heavily intertwined in all subject areas, including Science and Math. We can also assess your child’s current reading level for an additional cost. We also offer facilitated fun book clubs for elementary students to discuss and talk about literature. 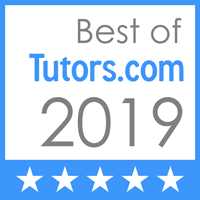 Beach Cities Tutoring offers tutoring in C++,Java, AP Java, data structures, algorithms, and discrete math with college graduates who majored in Computer Science. Worried that your student doesn’t have the study skills to survive in middle school! No fear! We offer programs to teach students organization and study skills that will help them in all of their academic classes and life including time management, goal setting, study techniques, note-taking, binder/planner organization, and more.